Your bar deserves to look beautiful and have the absolute best in 8 ounce cocktail shakers. 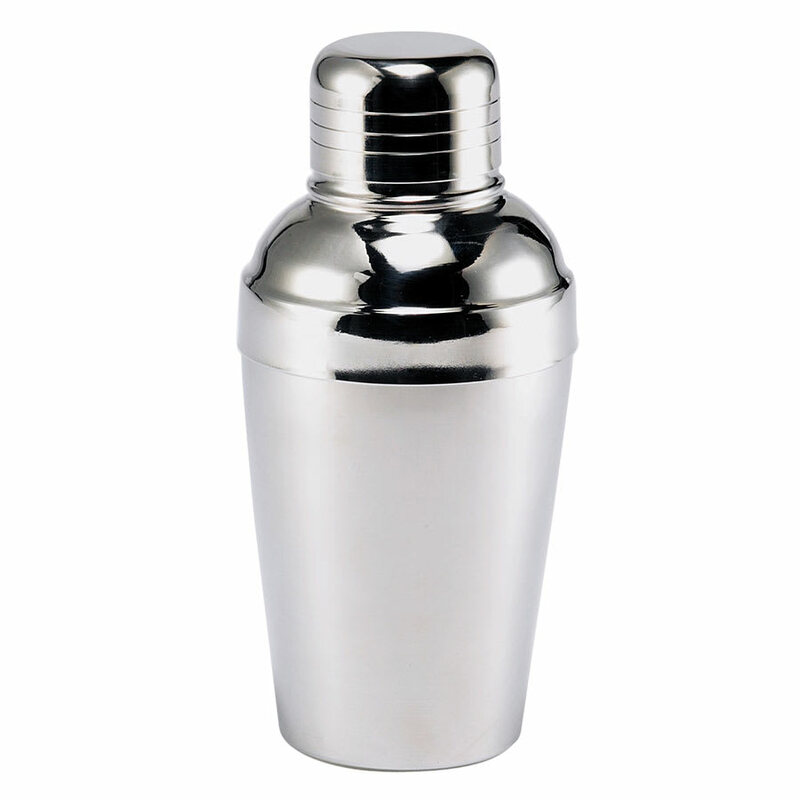 This Browne Foodservice cocktail shaker is constructed of smooth 18/10 stainless steel. Because of the quality construction this 8 ounce cocktail shaker will not leak and will be highly resistant to corrosion, dents, scratches and stains. This stainless steel cocktail shaker comes complete with a strainer and cover up. When you are finished shaking up a delicious drink then rinse clean or pop this cocktail shaker in the dishwasher for no hassle clean up!